Skipper and Lola. Made this for Valentine's siku along with other valentine-doodles like Private x Cupid. 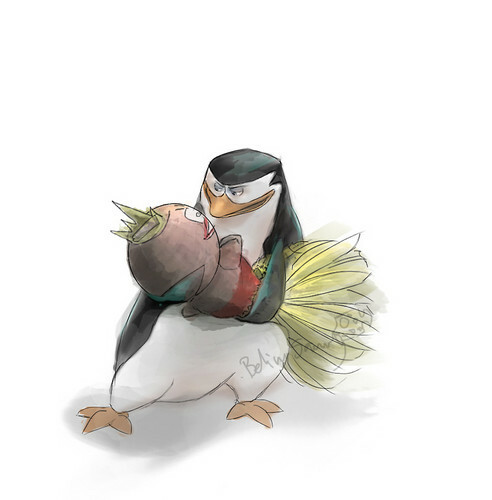 HD Wallpaper and background images in the Penguins of Madagascar club tagged: madagascar penguins of madagascar skipper. This Penguins of Madagascar fan art might contain bouquet, corsage, posy, and nosegay. Looks good! Skipper and his doll! LOL!